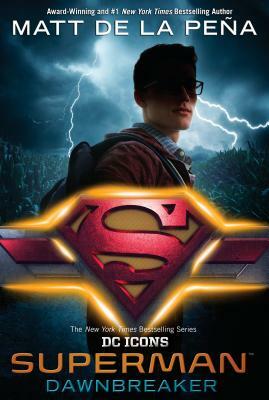 The blockbuster DC Icons series that began with Leigh Bardugo’s Wonder Woman, Marie Lu’s Batman, and Sarah J. Maas’s Catwoman continues with the story of the world’s first super hero--SUPERMAN--from award-winning and #1 New York Times bestselling author MATT DE LA PEÑA. Clark Kent has always been faster, stronger--better--than everyone around him. But he wasn’t raised to show off, and drawing attention to himself could be dangerous. Plus, it’s not like he’s earned his powers . . . yet.